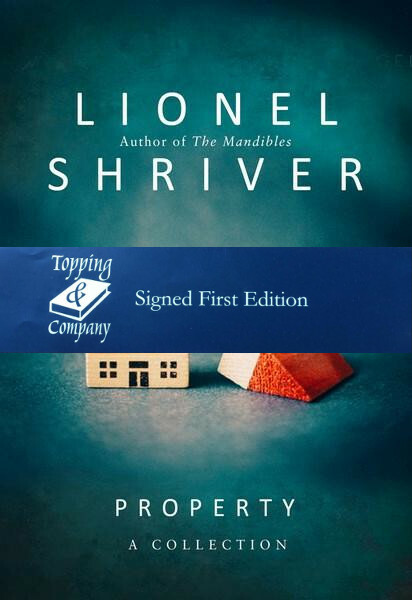 Home » Books » Property; Signed by Lionel Shriver; First Edition. First ever story collection from the inimitable Lionel Shriver This landmark publication, the first collection of stories from a master of the form, explores the idea of “property” in both senses of the word: real estate, and stuff. These sharp, brilliantly imaginative pieces illustrate how our possessions act as proxies for ourselves, and how tussles over ownership articulate the power dynamics of our relationships.